Luggage is rarely an impulse item. The brand needs to always be a focal point in the design. 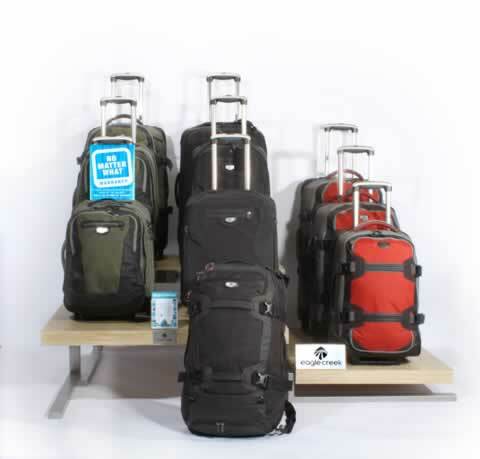 Consumers shop around, and since luggage can often be in similar shapes and styles, remembering the brand is important. With freestanding store display fixtures, the brand is usually on the top of the display, but can also be featured on the base or shelves. 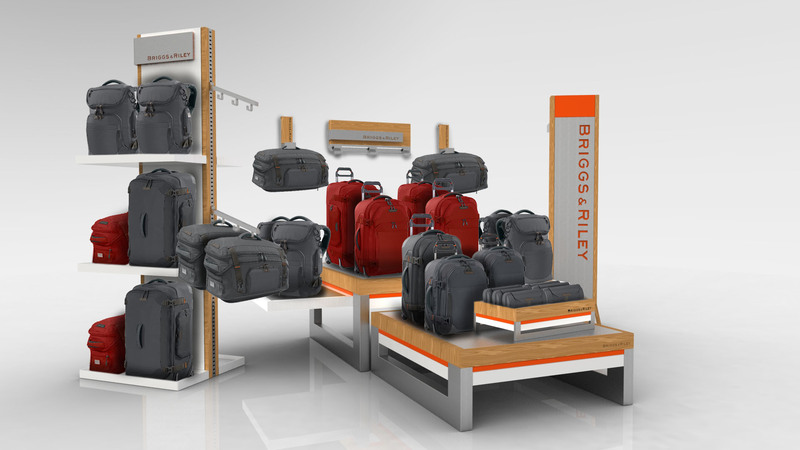 TIP- Luggage lines usually consist of pieces in varying sizes, and should be displayed as sets when possible. 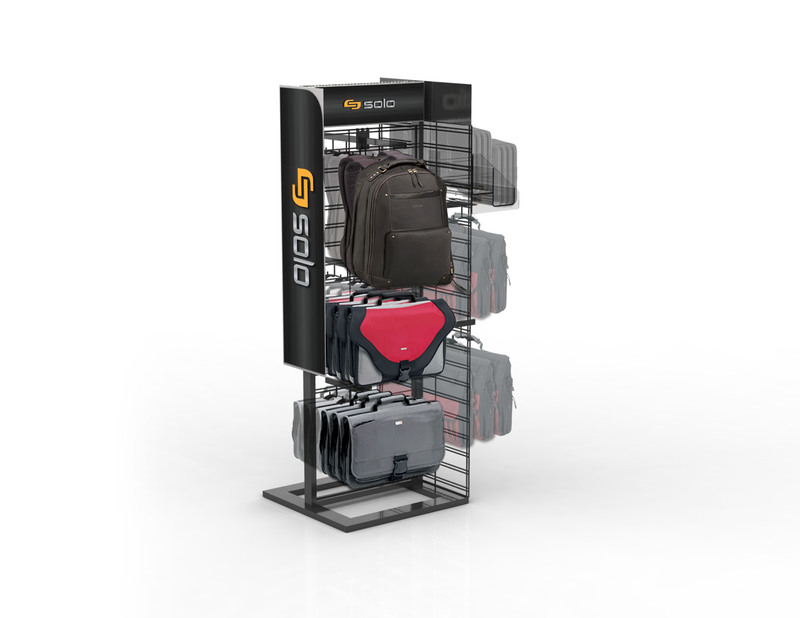 If you need top quality luggage displays, request a quote today, or contact Simply Displays to learn more.